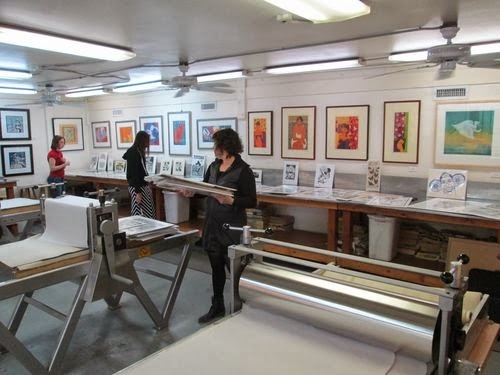 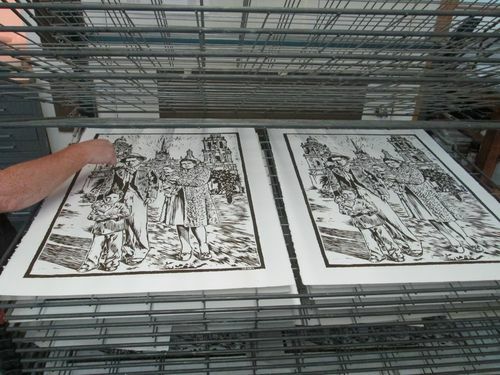 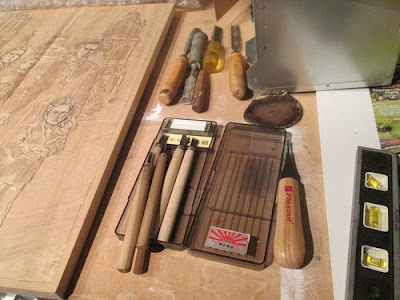 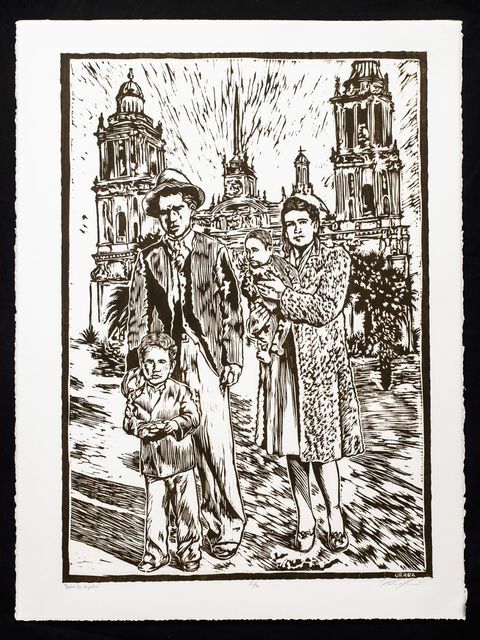 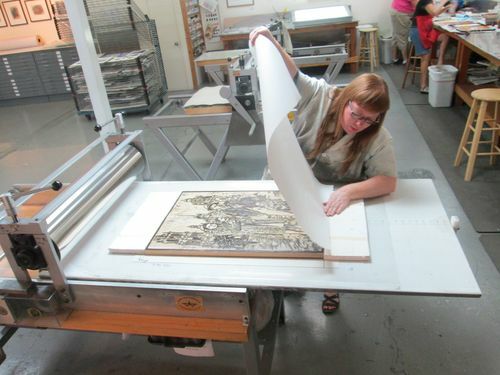 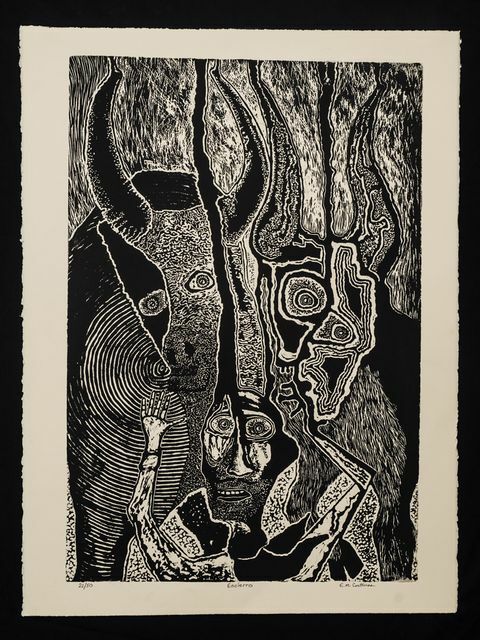 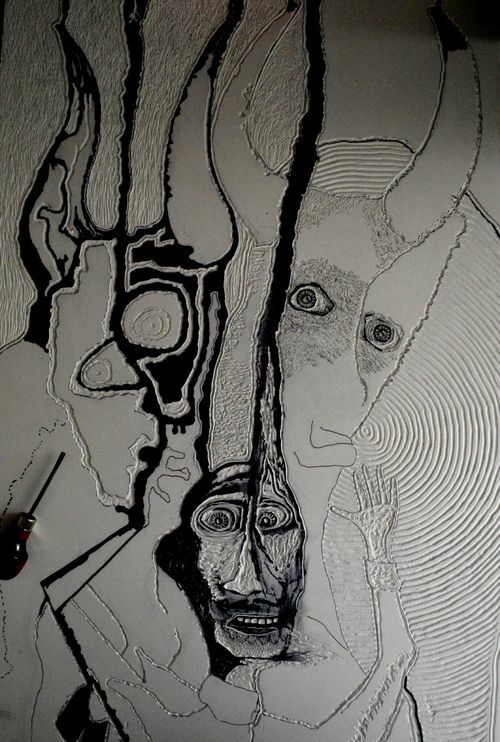 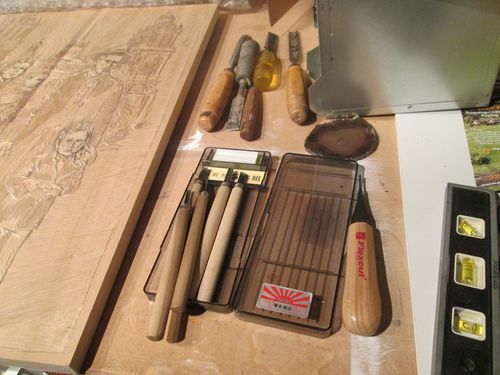 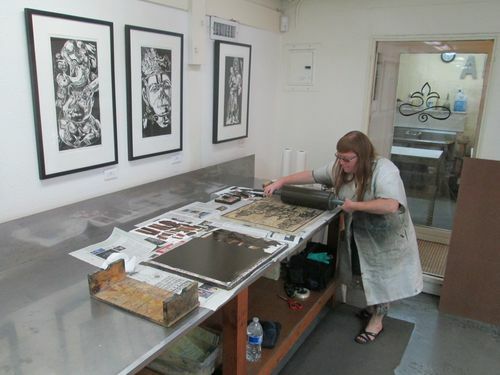 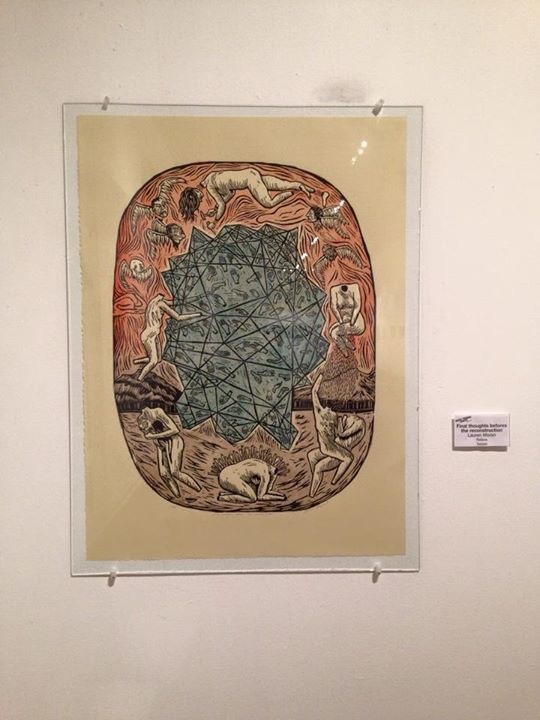 Ruben Urrea Moreno from Tucson, did his print at New Grounds Print Workshop and Gallery (Albuquerque). 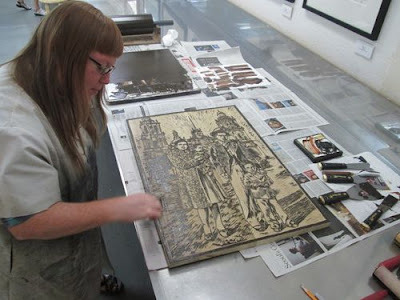 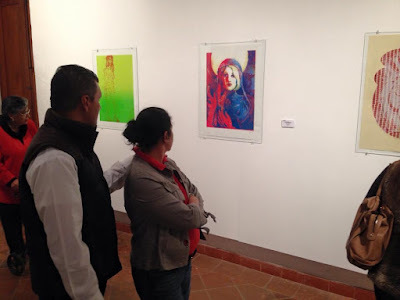 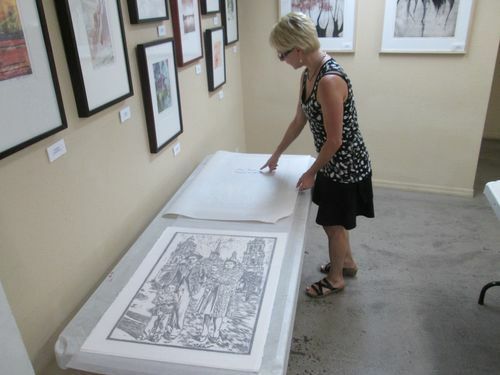 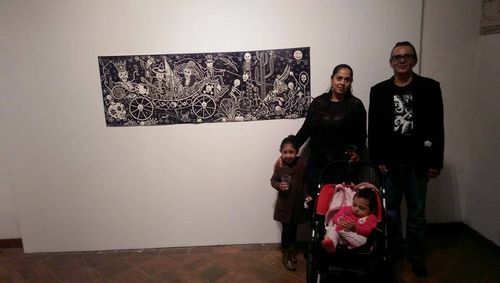 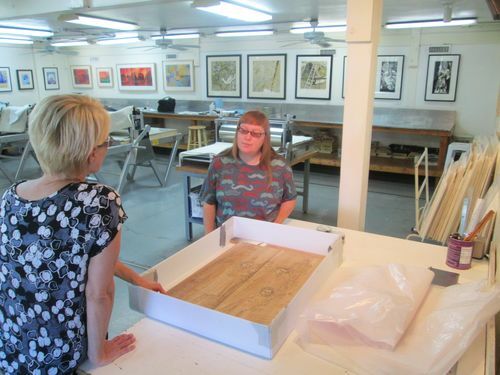 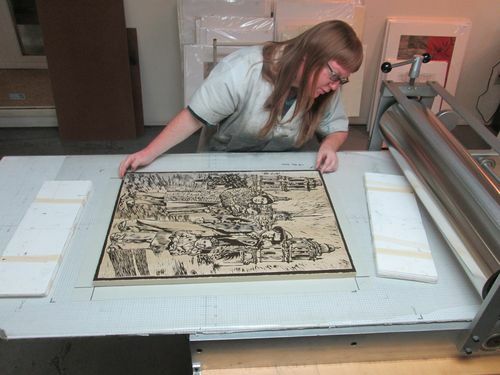 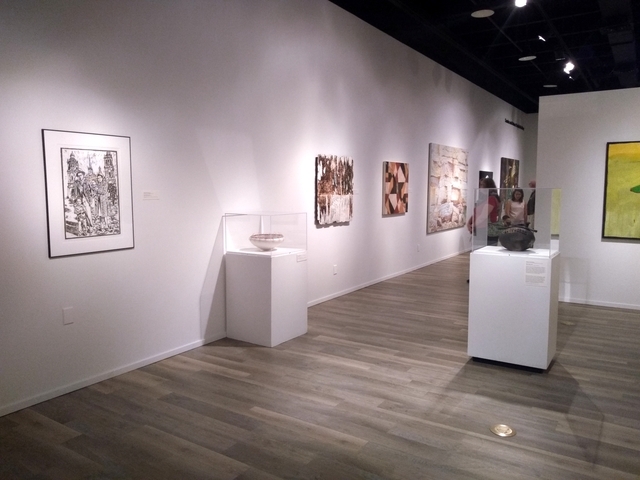 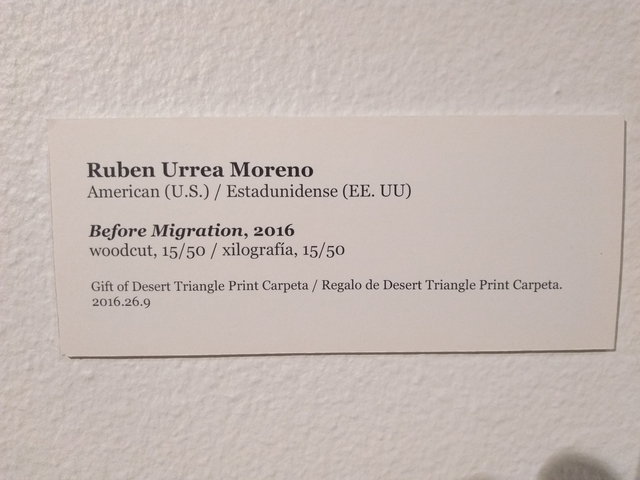 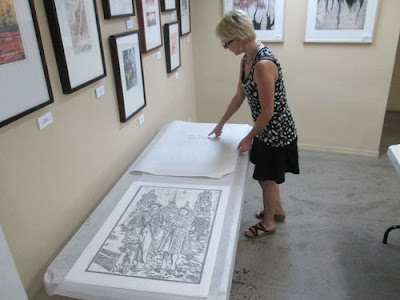 Ruben's print was found hanging at the Tucson Museum of Art! 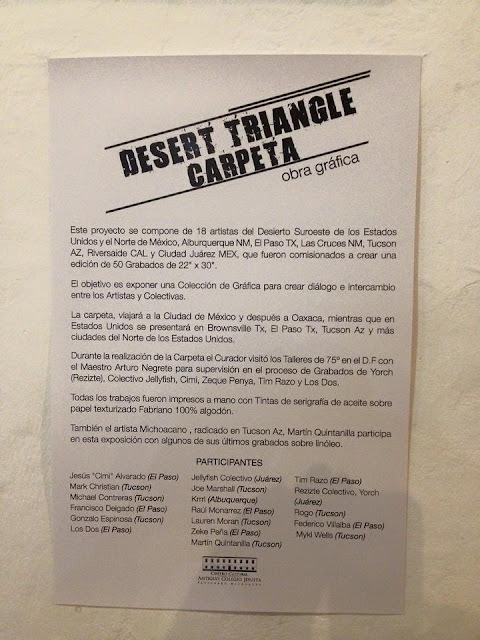 The Desert Triangle showing in Patzcuaro, Michoacan, Mexico -- at the El Centro Cultural Antiguo Colegio Jesuita -- opening September 18th. 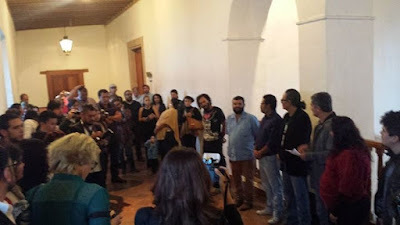 We exhibited the first 18 (not including that of Manuel Guerra), which are all that had been received at that time. 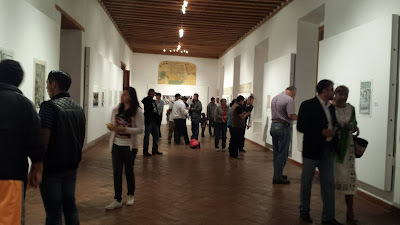 Note: We exhibited the rest of the prints there in a later exhibition, in March, 2016. 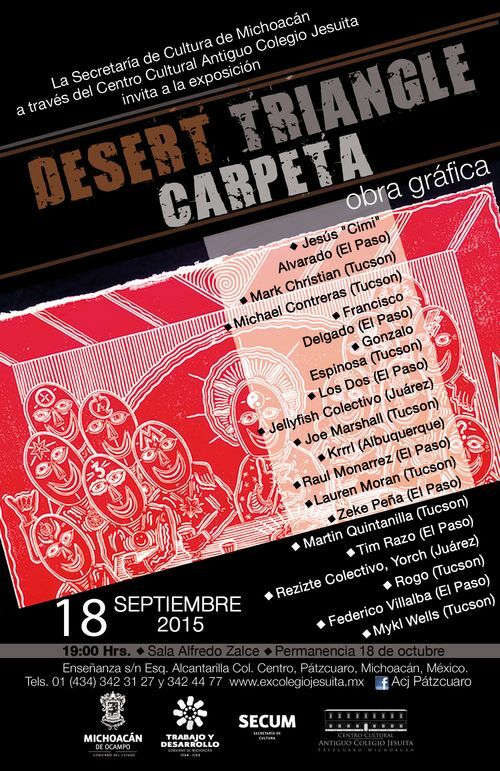 18 prints shown on the 18th! 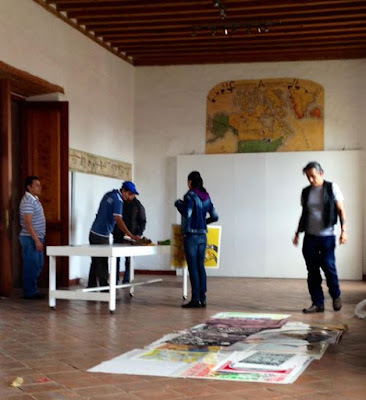 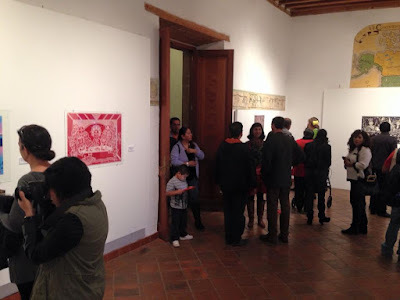 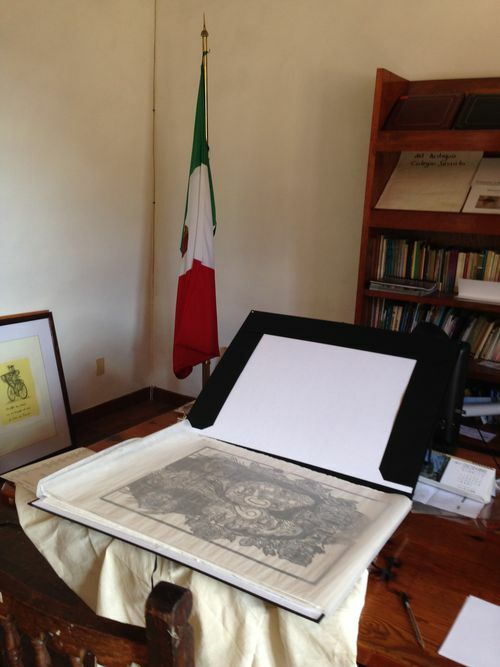 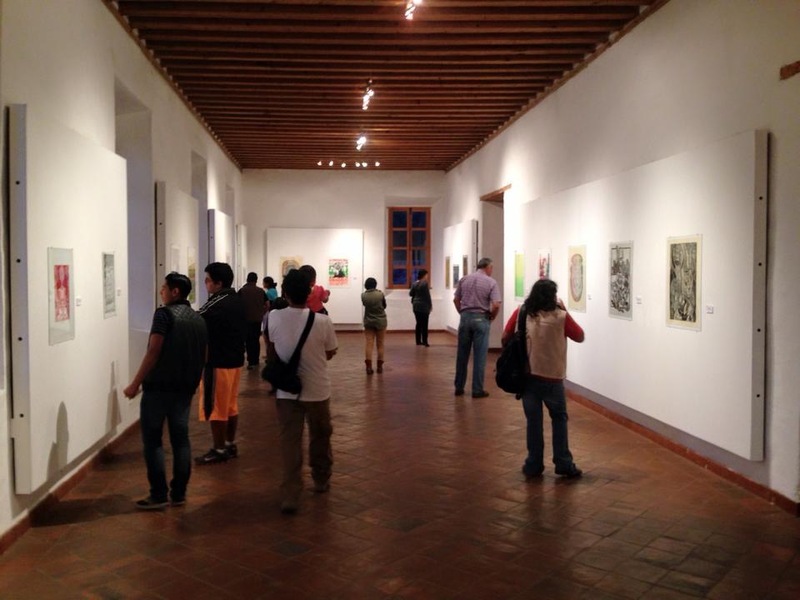 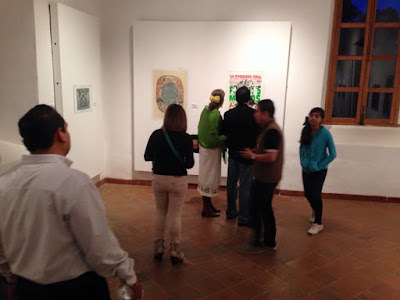 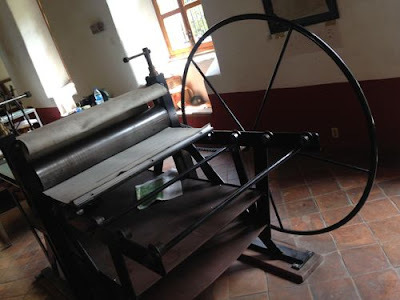 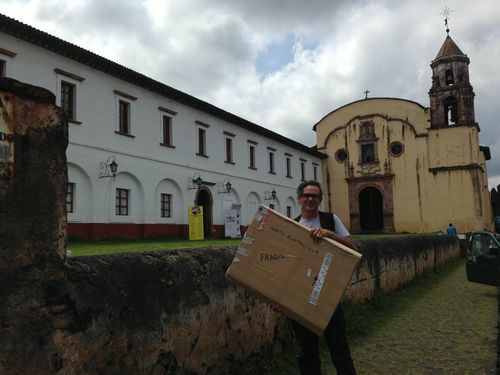 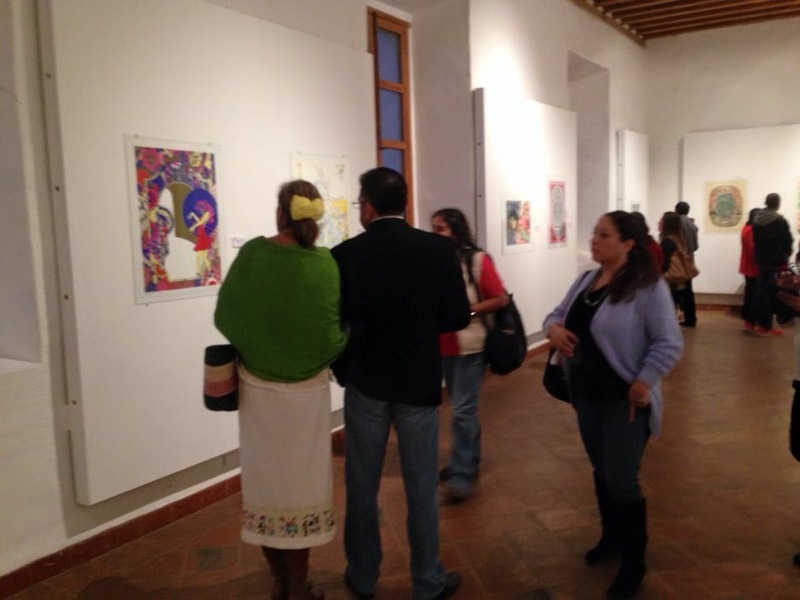 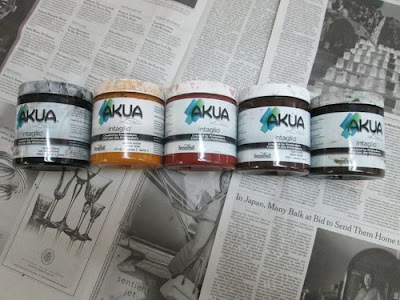 Update: We are donating a carpeta to El Centro Cultural Antiguo Colegio Jesuita. 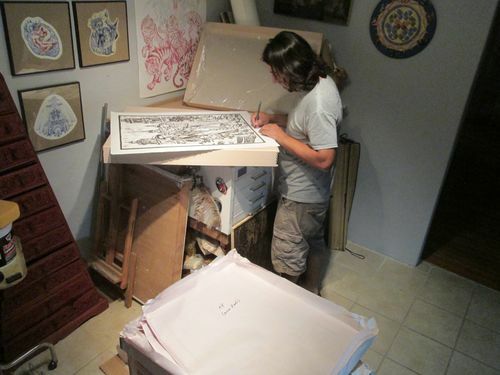 Martin Quintanilla delivered 10 more prints just after New Years 2016. We still need to send two more prints and a presentation box. 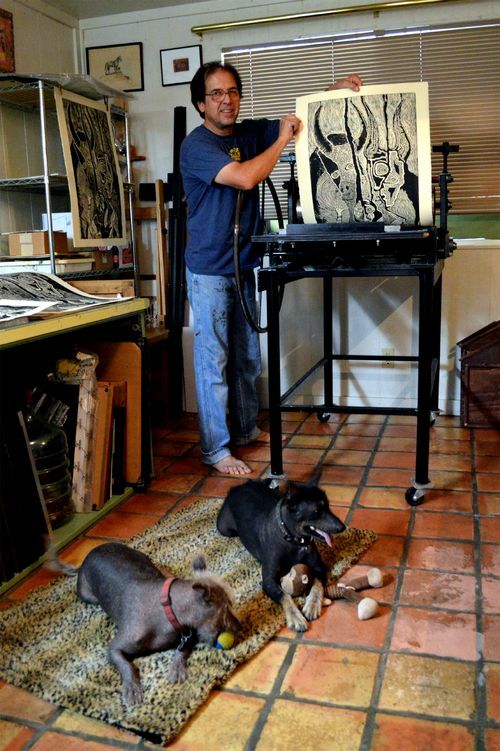 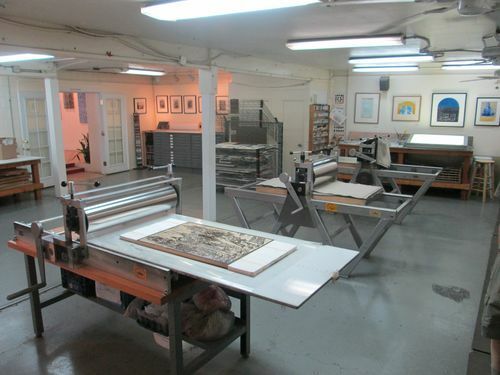 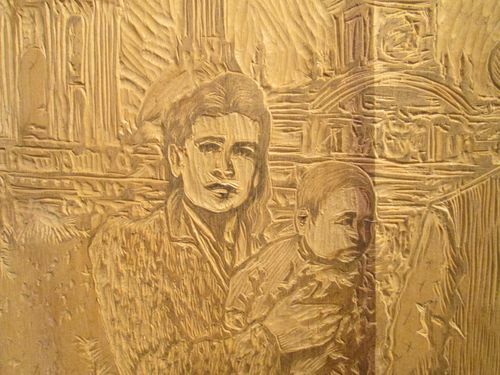 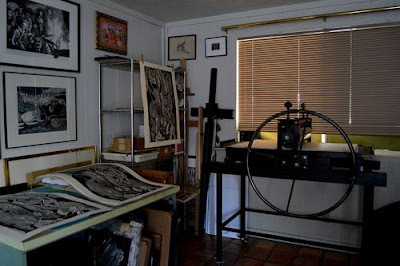 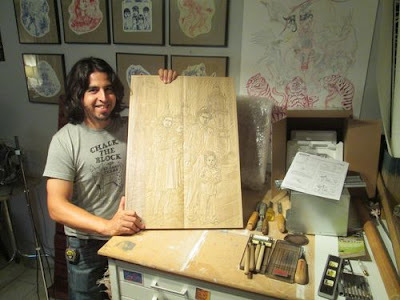 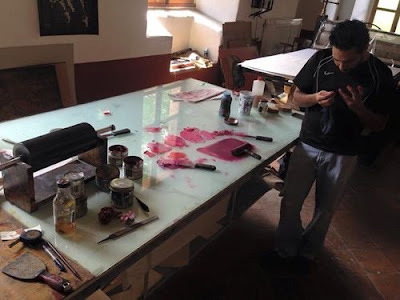 Michael Contreras of Tucson did his print in his personal studio (Tucson). Michael Contreras also runs the Contreras Gallery in Tucson. 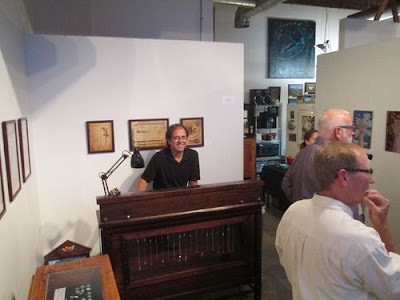 The picture of him below is from the opening during First Saturday (September 5, 2015) at his gallery, when he was showing paintings from Mykl Wells and Tom Baumgartner. 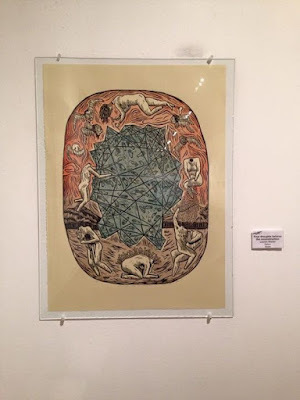 The Sonoran Arts Network did an online article on the Contreras Gallery.